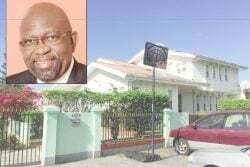 In a brief comment to Stabroek News when contacted yesterday, he said that he was not planning to sell his home. “As you see I am very much here,” he added. Goolsarran said that he did not want to comment very much but said that the report carried in another section of the media that he was migrating was mischievous. “I don’t know where they got that (report) from,” he stated, adding that he was not a difficult person to contact. Meantime, a year after a probe into financial irregularities at NCN ensnared two high level officials, President Donald Ramotar is yet to reveal whether any action would be taken against the officials implicated despite saying two months ago that he would make his decision known “very soon.” The president made the remarks at a press conference on April 26, 2013. In May, the AFC had chided the president for not standing by his word. Executive member Moses Nagamootoo had said that there was enough evidence to merit prosecution. In January, Ramotar told a news conference that he planned to discuss the findings of an audit into alleged financial improprieties at NCN with the persons involved before saying what decisions will be made. Critics have said the reason why there has been no action is that the two persons at the centre of the probe have close ties to the ruling party and they visibly played up the positives of government on state TV while closing out the opposition from the airwaves. The NCN Board had launched an investigation in June 2012 into suspected financial irregularities at the network. Chief Executive Officer Mohammed ‘Fuzzy’ Sattaur subsequently resigned and Goolsarran was suspended. 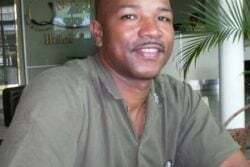 Goolsarran was sent on administrative leave in relation to a $3.9 million cheque made payable to him by telecommunication company GT&T as an incentive for the production team that worked during the company’s jingle and song competition, held between September 2011 and February last year. Sattaur’s quitting and Goolsarran’s suspension coincided with the resignation of Yog Mahadeo, the then chief executive officer of GT&T. 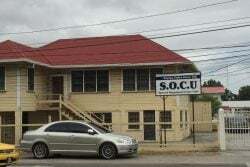 The decision to investigate the incentive payment was taken at a meeting by NCN board members in 2012 to examine how the cutting of the $82 million government subvention to $1 by the combined opposition, would affect the company. At the time, board members were also examining a proposal by the management of the company on the way forward, in the light of the cut of the subvention. The board decided to dig deeper on seeing the proposal, since NCN had publicly indicated that most of its revenues come from advertising and that it raked in over $500 million in advertising revenue in 2011. Parmesar Chartered Accountants was then hired to carry out a special investigation into the alleged financial irregularities and several breaches were uncovered.